Join me and claim The Throne of Games! Summary: The typical Agile adoption story is riddled with roadblocks and resistance. Learn how our organization allowed for a rapid Agile transformation and a unique set of challenges in implementing Scrum in hardware. Understand how hybrid Scrum teams (hardware, embedded software and firmware, and application software) scale at the program and portfolio level. Recognize lean-Agile principles for product development. Discuss the use of a collaborative organizational model to structure Agile teams. Summary: Have you used Scrum at work and wondered how you can get started at home? Learn 5 easy ways to calm the storm of household chaos. Discover how Scrum can be used to manage work outside the office. Learn how Scrum can become a way of life. Bring the Scrum values to your family and use them to manage your household. Empower your kids to feel like a valuable contributor of the family. Learn how your family can work better as a team and share common goals. Rid yourself of command and control parenting. Synesthesia, High Performing Teams, World Rhythms, and You. Surf’s Up, Dude. Summary: Drum set performance, lecture, and audience participation that expands sensory recognition of high performing teams to include rhythmic feel. Learning Objects: A team’s level of sophistication can be difficult to articulate. This talk supplies people with a feel and simple language to describe a team as either oompa, calypso, or others. It’s fun and energetic and the audience must participate throughout. A team whose energy is mindfully invested is able to “breathe” as a single living organism and creates a rhythm that energizes each of its members. Come by and get energized. Summary: Let's debunk the myth that you must keep teams the same to be successful. I'll share original case studies from companies that do this. It's inevitable: people come and go from your company. Get good at reteaming! How to Reboot Your Agile Team! Summary: In this talk, we will reveal a transformation process that can reboot any struggling Agile/Scrum team in 5 steps. Summary: "Unit testing takes too much time." Wrong. Unit testing has made me a faster developer. Come see the benefits of having good tests. Summary: Most Scrum rollouts focus on the implementation of the Scrum model through the use of practices and techniques as an attempt to “fake it till you make it” and spur on the growth mindset. Companies and coaches believe you can change the culture and change the mindsets and the benefits of a truly agile organization will then follow. This is all a lie. Humans are emotional creatures, and even the most logical Spock-like among us are still driven by the chemicals and irrational survival-thought processes in our brains. In this talk, I will present several examples of irrational failures, followed by examples of irrational successes where the use of the Force — the art of persuasion — was applied. In the new age where facts no longer matter, fake news fools people, and Stephen Colbert’s “truthiness” is in the dictionary, it’s time to lay down the cumulative flow diagrams and focus on lifting the Agile X-Wing up out of the swamp. Learning Objects: Learn the real reasons most Scrum adoptions fail, what your odds are, and how to (try to) use the force so a few of you can survive. Summary: From the beginning of manned flight, the patterns of agility have guided both the exploration of aviation and space. Reflect on both the successes and failures throughout the course of man’s quest for the heavens. discover some common patterns that lead to failure in various events in aviation. Add these lessons learned to our Agile toolbox as we look to replicate success in future endeavors in Agility. Fulfilling a role in a changing environment is challenging – defining a role in a complex, evolving enterprise equally so. In this session, we will make sense of – the context a product owner lives and thrives in – the responsibilities and activities that will help them, their teams and products thrive, and - methods and tools that help them do a great job delighting their customers. The format of the session can be reused within your organization, for any role. Non-POs are very welcome! Take away a session format for role clarification and development that you can use at home or with your clients. Create role definitions with metaphors suited to your adaptive context. Integrate the people who do the work in the role mapping to increase ownership and engagement. Work with roles and responsibility in a way that integrates the emotional reality of the people involved. Virtuous Metrics - Most metrics are the devil. Be an angel instead. Summary: Most metrics can be gamed or are harmful. Learn how to use Virtuous Metrics help teams self-organize, and organizations become more Agile. Learn why most metrics are useless or damaging to an Agile team. Discover what metrics help teams and organizations improve. Find out how to get management interested and involved in helping teams remove impediments. Learn an approach to gaining stakeholder alignment so your organization can move in the right direction. Discuss multi-Factor usage analysis to make sure your organization is building the right thing. Build a Car with Ponch! Summary: All of the workshops in the Scrum For Hardware Track will be focused on getting you to work with a team of people to help build a car while learning some pointers from experienced practictioners! For this slot, we'll highlight the team-based expectations of Scrum. The concept of the "crew"
Summary: Achieve more with Scrum teams that produce, perform, and begin self-organizing sooner. Take time for chartering at the start. Summary: Fostering self-organizing teams by finding the right balance between team learning, team empowerment and control. Summary: Apply a simple tool to make it easy and safe for people to speak authentically during retrospectives and team coaching. Identify common factors that discourage people from speaking up in your workplace. Apply a simple tool consisting of cards and three powerful questions that make it easy and safe for people to speak up during retrospectives, group coaching and other opportunities for performance feedback. Speak authentically about real challenges and opportunities for improvement in your workplace and offer clear and constructive action-based suggestions. Summary: If your don't care where you want to get to, any path will do. But if you do care, join us to connect Scrum practice to your desired outcome. Identify and articulate goals for their initial or next wave of Scrum adoption. Select Agile practices to complement their Scrum adoption that are best matched to specific desired outcomes. Demonstrate understanding of a manager/executive viewpoint. Successfully hold difficult conversations with managers and executives in a way to drive change successfully. Empower others in a way that is safe and engaging. Get the information they need to be successfully empowered in a safe and engaging way. Summary: Explore and experience facilitation and learning techniques using games you're already familiar with, as well as some new games you'll enjoy. Map board game mechanics to agile principles. Learn how to gamify abstract concepts. Experience hands-on games/tools you can use with teams right now. 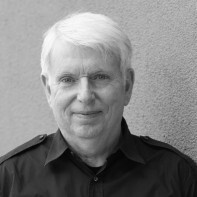 Jeff Sutherland is one of the co-creating founders of Scrum, co-author of the Agile Manifesto, and author of The Scrum Guide. As a former cancer researcher, military fighter pilot, and software executive Jeff carries the designation of having created the first Scrum team and developed the earliest iterations of Agile in the 1980s. Since that time, Jeff has helped to grow Scrum and Agile across a variety of industries, including healthcare, banking and finance, and telecommunications. Summary: The design goal of Scrum is radical improvement in productivity. When Dr. Jeff Sutherland started the first Scrum teams and later scaled to the first Scrum enterprises, he saw increases in production of 400% or more. Those groups were teams in the Ri state. That lesson in how to implement Scrum at scale seems to have been lost with many corporations adopting frameworks that only move them to the Shu state, minimal acceleration, and calling it a victory. Even reaching an intermediate state, the Ha state, teams should quickly double their velocity. Dr. Sutherland will address the original vision of how Scrum scales and share case studies and patterns of scaling success. Summary: Hang Ten with us at the WaveHouse on day one of the Global Scrum Gathering® San Diego 2017! Take a walk down the boardwalk, see surfers show off their tricks, and dance the night away to our Beach Boys tribute band, Woodie and the Longboards. We look forward to seeing you at the Global Scrum Gathering® San Diego 2017! Intended outcome: Using the circular set-up of the room, “Ponch” will build a mental map of key locations in San Diego and how they connect to today’s Scrum and Agile practices. Expect to hear several anecdotes that describe why it takes more than passion to become a member of a high-performing team. San Diego provides a unique backdrop for this topic as the city is home to the most recognizable high-reliability organization, several iconic high-performing teams, and is the former home to a school recognized for teamwork. Attendees will walk away with a fresh set of evidence-based practices from outside the Agile echo chamber, proven to optimize the team framework known as Scrum. From carrier aviation to political-military affairs, Brian “Ponch” Rivera’s journey to coaching Agile organizations and teams consists of cross-cutting experiences in human factors, sensemaking, OODA loops, and Red Teaming. Before entering the world of Agile, “Ponch” had more than 1,500 documented retrospectives, was an instructor and coach in one of the most volatile, uncertain, complex, and ambiguous environments in the world, and learned the power that immersion, empathy, and narrative have on satisfying the needs of a dissimilar population. Following his immersion as an Agile coach, “Ponch” recognized that the transportable teaming, decision-making, and sensemaking skills found in other socio-technical systems were missing and applicable to the Agile community. Knowing that complex adaptive systems learn from one another, and the Agile community’s desire to uncover better ways, “Ponch” co-founded AGLX Consulting—a thought leadership and training firm. Summary: Discover some of the ways the human brain is hard-wired to learn so that you can teach, train, and coach others in ways the human brain learns best. Become aware of your own "blind spots" - assumptions about human learning that may be outdated or incorrect. Begin your own exploration of brain science and human learning so that you can become a more effective trainer, instructor, or coach. Sharon Bowman is the president of Bowperson Publishing & Training, Inc. She has been an educator and corporate trainer for over forty years. She is an expert on brain-based instruction and is the author of seven popular training books, including the best-selling Pfeiffer/Wiley books titled Training from the BACK of the Room and The Ten-Minute Trainer. Her newest book is Using Brain Science to Make Training Stick. Log on to her website at www.Bowperson.com for free book excerpts, articles, videos, and slide presentations about brain science and effective instruction. Summary: A big part of what drives me is the positive impact that someone can have on another person. When I get out of bed each morning, I think about how I can improve the lives of others. Developing others and seeing them develop into something more really gets me charged up, and is something I talk about regularly in my classes. This drives me in all of my actions and is something I'd really like to share with the conference. Chris Li is an energetic and passionate Certified Scrum Trainer® whose recent focus has been on designing and delivering interactive and immersive learning experiences for professionals looking to expand their Agile mindset. Chris has worked for several engaging and collaborative customers in both commercial and federal customers. His close work with the Department of Defense and Department of Homeland Security give him a unique perspective into organizational change and technical delivery. By combining strong technical leadership with an emphasis on professional development, Chris has always focused on the personal and professional growth of his co-workers. Throughout his professional career, Chris has been an entrepreneur and an innovator. He founded the Agile Institute while at Agilex, an organization focused on providing Agile-focused training to employees and customers. He also developed Agile training and implementation strategies for various programs, and most recently founded his own Agile consulting firm, SparkPlug Agility. “In the real world” is a phrase that I hate - as if we don’t live in the real world and as if Agile was a childish theory rather than real practice. Why there is no such thing as an Agile purist. What does pragmatism actually mean. Nigel Baker has been a CST® and Agile Coach for over a decade, starting with BT and supporting some of the major UK and EU enterprises. Nigel is an ex-chair of the Global Scrum Gathering® in 2011. As a part of these meetings, we use Open Space Technology in the afternoon, so that the group can decide what conversations need to occur in order for us to get to decisions. I've been both facilitator and participant in these meetings for years. Those open space sessions have been some of the most passionate, exciting collaborations I've ever seen. A few stories will illustrate different flavors of these sessions--short-term problem-solving, debates about our longer-term strategy (I love that people weren't afraid to take a long view), imagining the future and having the customer in the room tell you how wrong you are. The democracy at work--the CTO was never listened to any more or less than the engineering manager or accounting director in the room. Arguments about True North for the year. Passionate debates about how to limit corporate WIP. Through the stories, I would describe what has made this work--what in our culture, the role of excellent facilitation. And how--having matured these practices--we've been able to bring them to the larger Business Unit we are not part of at CA Technologies. "A firebrand of wisdom, tempered by practical application …”—that’s how colleagues describe Ronica, our services practice lead, who has more than 15 years of experience in agile practices. Ronica evangelizes all things collaborative, creative, agile and lean with incomparable energy and passion. Her current mission is to equip CA Agile transformation consultants and agile coaches to build learning organizations that honor the individual, give everyone the chance to do what they do best, and harness the power of teams to amplify great work and produce great stuff (including software). Based in Boulder, Colorado, Ronica speaks and writes regularly on agile topics and on our ability to support agile transformation and agile organizations. She also teaches certified Scrum and SAFe courses. Get to know her on LinkedIn and Twitter. Scrum Alliance® is pleased to present a separate workshop prior to the Global Scrum Gathering® San Diego 2017. Visualize your ideas, make it easier for others to relate to what you have in mind, keep stakeholders engaged and make team collaboration more effective. From start to finish you will be guided through fun, bite-sized exercises that will collectively enable you to successfully captivate an audience through pictures. Whether you wish to enhance your facilitation skills, make collaborative design thinking a key enabler within your team, or simply gain the confidence you need to draw live in front of an audience, this workshop is for you.